Talks on setting up a European patent system made good progress at the meeting of EU industry ministers yesterday (29 May), but sensitive translation arrangements remain the main obstacle, the Slovenian EU Presidency said after the meeting. Although work at technical level has not been completed yet, several proposals are on the table now, Slovenian Economy Minister Andrej Vijzak said. “If there is enough political will, I am confident of having a solution soon, maybe even under the French Presidency,” Vijzak stated. The main stumbling block in the negotiations on a Community patent and a related litigation system, which have been going on for over a decade now, is the issue of translation arrangements. The Slovenian Presidency has proposed two options. One foresees a ‘flexible patent’, which would allow the owner to decide in which country the claim would be protected, while the second option calls for translation into all official EU languages by an automated computer system. The latter is the one favoured by a majority of member states. The main difference between the options is that that in the latter, translation had no legal status, contrary to the first one. Regarding the Community patent, the Presidency particularly highlighted the cost aspect, saying that a cost-effective patent system had particular benefits to SMEs. Joachim Rohwedder, vice-president of VDMA, the largest engineering association of the European capital goods industry, backed this view, saying that high costs were the main reason SMEs are refraining from registering patent rights.”Today, patent registration in Europe is more costly than in the US and Japan, with translation requirements are a particular burden,” Rohwedder stated, calling for a Community Patent with a cost-effective language regime. Internal Market Commissioner Charlie McCreevy lauded the Slovenian presidency for putting in “extraordinary efforts in advancing this issue”. In parallel to the patent talks, ministers also took note of the progress of the ‘Better Regulation’ initiative (see EurActiv Links Dossier), agreeing that further cutting red tape was vital to Europe’s competitiveness. In 2007, the bloc had agreed to cut the administrative burden by 25% by 2012. Industry Commissioner Günter Verheugen said that the Commission was on track to complete the screening of EU legislation and present another package of proposals for its simplification by the end of the year. The Czech delegation also presented a proposal calling for even more substantial steps. Initiated together with the UK, it also attracted the backing of Denmark, Estonia, Germany, the Netherlands and Sweden, with Lithuania and Ireland expected to support it. The Slovenian Public Administration Minister Gregor Virant called this declaration “interesting and useful”, but stressed that it was not a common EU project and the focus should be on the bloc’s initial better regulation initiative. The ministers also agreed to create conditions for reducing the fragmentation of the European venture capital market, which should help overcome the lack of equity and investment capital for financing SMEs. 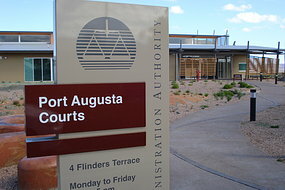 The Aboriginal Legal Rights Movement (ALRM) says the South Australian Government’s promise of more Aboriginal interpreters is a shallow response to a wider problem.The government will spend $520,000 over four years to get more Aboriginal people working in the courts system. Neil Gillespie from ALRM says it will not improve the legal rights of Aboriginal people who don’t speak english. He says Aboriginal rights lawyers will still be unable to brief their clients ahead of court proceedings. The bill for providing interpreters and information for people using Kettering General Hospital, GPs, the courts, councils and the police has nearly doubled to more than £816,164 in the past two years. It reflects figures published in April which showed Corby and Northampton were in the top 15 in the country for the number of immigrant workers registering since the enlargement of the European Union. Figures obtained by the Evening Telegraph under the Freedom of Information Act show Northamptonshire Primary Care Trust has increased its spending on translation services by more than £164,000 since 2005/06, taking the total to £294,304. The trust has seen an increase of 61 per cent in interpreting requests to 3,812 in the past 12 months. A trust spokesman said: “The trust uses the Community Access Language Service. “This is anything from interpreters to translating medical notes and leaflets. During the past 12 months the hospital provided interpreters on 889 occasions in a total of 29 different languages. Hospital chief executive, Dr Mark Newbold, said: “The trust adopts a very common sense approach to interpretation and translation. For example the friends and family of a patient are used to help interpret every day matters such as menu choices or other routine aspects of care. Northamptonshire Police’s spending on translation services, which it does not receive specific funding for, has risen from £231,359 to £325,941 in two years. Assistant Chief Constable Derek Talbot said: “We are policing an increasingly diverse community which requires us to use interpreters more and more, both on the telephone and by calling them out to interpret directly. Armida Olejniczak, 28, moved to Corby from Poland three years ago and when she first arrived, she couldn’t speak much English. She said: “We studied English at school for 10 years, but when I came here it was difficult to understand people because of their accents. “When I went to the doctor, I had to take a dictionary. Racial equality officer for Kettering Ven Subbarayan said spending money on translators could cut down costs in the long run. A report published by the Institute for Public Policy Research shows 2,330 central and east European workers were registered in Corby between 2004 and 2007. In Northampton there were 14,250 – the highest outside London. Wellingborough has 1,805 registered, Kettering 750 and East Northamptonshire has 555 immigrant workers in the area. The total cost of translation services provided by Kettering, Corby and Wellingborough councils, Northamptonshire Primary Care Trust, Kettering General Hospital, Northamptonshire Police and Northamptonshire Magistrates Courts for 2005/2006 (excluding Corby Council) was £456,072, 2006/2007 £538,918 and for 2007/2008 the figure is £816,164. East Northamptonshire Council could not provide details. THE State Government has pledged more than half a million dollars towards providing more Aboriginal interpreters in the state’s court system. The money will be spent over the next four years to recruit new interpreters from within the South Australian public service. 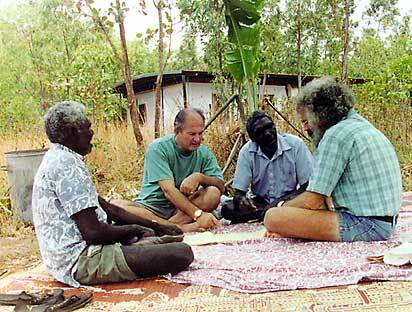 Attorney-General Michael Atkinson said that only 70 percent of court requests for Aboriginal interpreters were filled between July last year and February.Mr Atkinson said the figure compared to 97 percent for other languages such as Italian and Vietnamese.”Extra Aboriginal language interpreters in our court rooms means that cases can be dealt with more swiftly and with less stress for everyone involved,” Mr Atkinson said. “This will make a real difference to the efficiency of our justice system and ensure the courts are easier to navigate for Aboriginal-speaking people.”Under the plan, Aboriginal people currently employed as nurses, social workers or teachers will be encouraged to make extra money through performing interpreting work. A Thai cabinet minister allied to former Prime Minister Thaksin Shinawatra has resigned after being accused of criticising the monarchy. Jakrapob Penkair stepped down after the police said they would charge him with lese majeste, a serious offence which can lead to a 15 year prison sentence. The move comes amid political tension over the government’s plans to revise the military-drafted constitution. Rumours of another military coup are shaking investor confidence. Political careers in Thailand routinely survive all sorts of mud-slinging – but any allegation of disloyalty to the monarchy is usually fatal. So it has proved to Jakrapob Penkair, an outspoken cabinet minister and one-time protege of Thaksin Shinawatra, the billionaire prime minister who was ousted by a military coup in September 2006. The offending comments were made in English in a speech to foreign correspondents last August. Their translation and interpretation have been the subject of intense debate. Mr Jakrapob insists he intended no offence. The issue is a highly emotional one in Thailand. King Bhumibol Adulyadej is almost universally revered here – but he is 80 years old, and there is barely-concealed public anxiety over the succession. Opponents of Mr Thaksin, whose allies run the current government, believe he has a hidden, anti-monarchy agenda. So when the government announced it would try to amend the military-drafted constitution earlier this year, that prompted a resumption of street protests by some of the same groups who led the campaign against Mr Thaksin two years ago. They will doubtless see the resignation of one of his most loyal supporters in the government as a victory. But the deep rift between the pro- and anti-Thaksin camps is still unresolved, after more than two years. “It’s hard to speak of Bob Fagles without something akin to wonder,” Bermann said yesterday to a gathering of several hundred people who attended a memorial service for Fagles in the Princeton University Chapel. In addition to Fagles’ family, among those attending the service were other literary luminaries who had been Princeton faculty colleagues of his, including poet Paul Muldoon and author Toni Morrison. Fagles, who died of prostate cancer at age 74 on March 26 in Princeton, left behind a legacy not only of his acclaimed translations, but also of a humanity, generosity and kind humor that made him a beloved colleague, mentor, friend, father and husband to the people whose lives he touched, his colleagues said. “Bob had the courage to translate so much and so beautifully, I think, because he himself was so much,” said Bermann, chairwoman of Princeton’s department of comparative literature, which Fagles helped establish and oversaw for almost 20 years. “He cared deeply about each faculty member, about his staff and students,” Bermann said. But above all, his wife of 51 years, Lynne Fagles, was the light of his life — his muse, friends and relatives said. And he was a good listener, as well as a wellspring of information who was fascinating to talk to, his daughter, Nina Fagles Hartley said. “No matter how busy, you never had the impression that he was bored or distracted” during conversations, Hartley said. That’s the kind of characteristic that made him a model father and an effective teacher, she said. Fagles’ translations have sold more than 4 million copies worldwide, drawing a wide-ranging audience that included both an academic and general readership. He received numerous awards in his career, including the National Humanities Medal, the Academy Award in Literature from the American Academy of Arts and Letters and the PEN/Ralph Manheim prize for lifetime achievement. Muldoon, chairman of the university’s Lewis Center for the Arts, said Fagles’ vivid and attentive translations had an “extraordinary delicacy” about them. Pop Japan Travel’s Mind Over Manga tour this Aug. 21 to 27 offers guests the unprecendented chance to print their own comic in Japanese and sell it directly to Japanese customers at Comitia, one of Tokyo’s most respected dojinshi (indie comics) events. Several artists have already taken us up on this offer, but now, with the tour deadline rapidly approaching (and the $100 early discount available only until this Monday! ), PJT has released complete details of the dojinshi option, including printing, translation and lettering costs. The PJT printing package includes black-and-white printing at B5 size (182×257 mm) with superpost 220kg full-color covers using clear or matte PP printing. Page counts are available in multiples of four, with copy counts in increments of 50. See http://www.popjapantravel.com/updates/41/Manga+Printing+Details for complete price table. Translation from English to Japanese and lettering are available for $8 per page plus 6 cents per word (you won’t be charged for pages with no text). Your comic remains 100% owned by you, and the translation is considered work for hire, which means you also own the Japanese version we produce and can use it however you like. Digital Manga retains no rights to the work and must ask your permission to use it. You also may set your own price for selling the book at the convention, and you may keep 100% of the money you make. Even if you don’t choose to sell your own book, you’ll get an up-close look at the way Japan’s manga market operates. The tour will also include the chance to meet and pick the brains of some Japan’s most important manga and dojinshi artists, plus a visit to a cutting-edge anime studio and Hayao Miyazaki’s Ghibli Museum, and lots of exclusive privileges and discounts at Japanese otaku retailers like Kotobukiya and Mandarake. Of course, we’ll also include our tried-and-true tour of Tokyo, providing a mind-blowing look at the world’s most populous urban area, plus a few excursions outside the city and optional tours of Osaka, Kyoto and Hiroshima. The tour, including round-trip airfare from LAX to Tokyo, full hotel accommodations, transport in Japan, entry fees, bilingual guides and customized guidebook, is $2,198 plus a $235* fuel surcharge. But if you sign up and send us your $300 deposit before Monday, June 2, you’ll receive a special $100 off, making your price just $2,098. DIGITAL MANGA’S POP JAPAN TRAVEL is the original and premiere provider of pop culture themed tours of Japan. 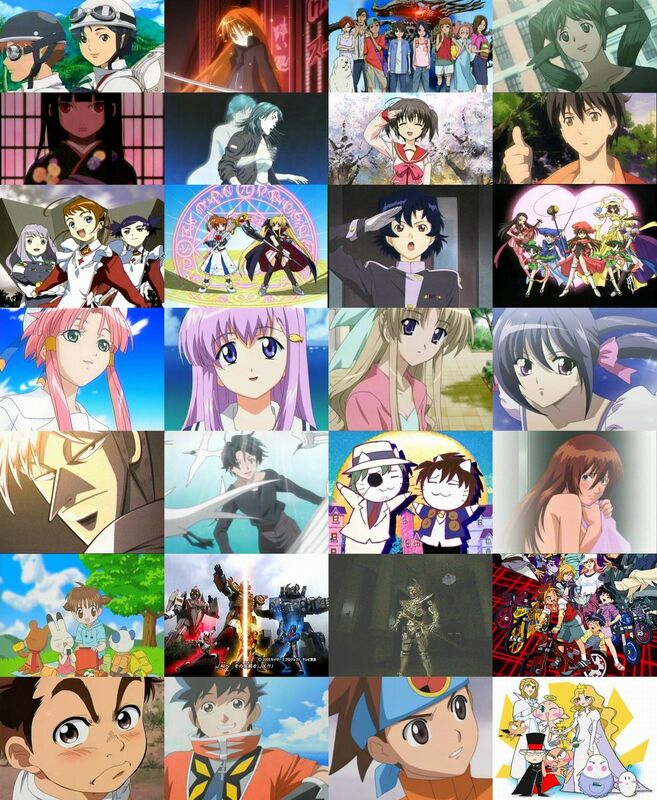 Since 2003, PJT has operated more than 15 tours with themes focused on Japanese anime, manga, games and more. Pop Japan tours offer a careful balance of the hyper-modern world of J-pop culture and the rich traditions of ancient Japan, and PJT is the ONLY tour agency to provide exclusive experiences such as visits to anime and game studios, meetings with manga artists, and more. Pop Japan Travel tours are organized in cooperation with IACE Travel, one of Japan’s largest travel agencies. COMITIA has since 1984 been one of Tokyo’s most popular dojinshi events. Run four times a year, it focuses on original, creative art rather than fan fiction. That has made it a launchpad for new manga artists, with thousands of circles participating each year. It takes place at Tokyo Big Sight, which otaku will recognize from Comic Party, Genshiken and many other anime and manga series.